"It’s not too sweet, and it’s simple to make using just milk and egg." "It’s inexpensive to try it before you buy more." "Combines a crunchy exterior with a moist interior that many people love." "A perfect addition to other recipes where you’d want to add your own flavors." "It’s a little bit dense and slightly gritty rather than fluffy." "It’s one of the simplest cornbread mixes you’ll find." "Offers a spicy kick along with the savory cheese flavor." "This is a sweet cornbread that’s a perfect pairing with spicy foods." While it’s called a corn muffin mix, this classic box mix has a lot of fans who rate it #1 for cornbread. It’s not too sweet, not too savory, and it’s simple to make using just milk and egg. Recipes abound for using this mix for corn pudding, for making it sweeter, or other adjustments that personalize the cornbread. A single box makes enough cornbread to be baked in a standard 8-inch square or an 8-inch round cake pan, or even in your favorite cast iron skillet, so it’s a nice amount for a small family. If you’re feeding a crowd, a double recipe is just as easy. This is a pack of four boxes, so you’ll have plenty to have on hand in the pantry, and the small boxes don’t take a lot of space. The price is also small, making this favorite also very affordable. A vegan version of this mix is also available, but most users prefer the flavor and texture of the original mix. While corn flavor is primary in corn muffins, wheat flour is usually included to hold the muffins together. Fortunately, gluten-free cornbread is available, like this offering from Glutino, which rated high praise from users. It requires sugar, buttermilk, eggs, and butter, so you’ll have to have those on hand, and it makes an 8-inch square pan of muffins. This is a single box of cornbread mix, available as an add-on item at a low price, so it’s inexpensive to try it before you buy more. Make the perfect cornbread with the help of the best mixing spatulas available on the market today. 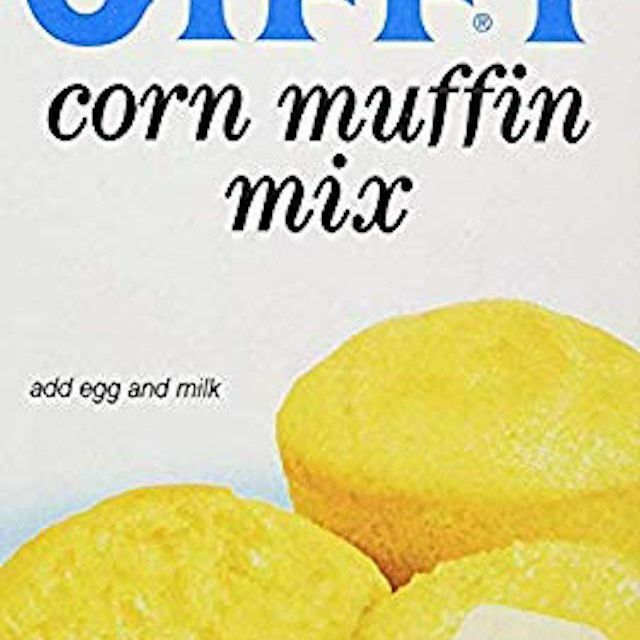 One user noted that “if you like sweet cornbread, this is the one you’re looking for.” This 60-ounce package contains four packs of the mix, so you can make a single one for the family or use multiples when it’s party time. This combines a crunchy exterior with a moist interior that many people love. The mix requires milk, water, and egg, so it’s simple to mix from pantry ingredients. It has instructions for baking in an 8-inch square pan or in regular or jumbo muffin tins. Users say that this has the same flavor and texture as the corn muffins served at the Famous Dave’s restaurants. A brand that’s been around for generations, Betty Crocker has mixes for just about every baked good you’d want to make, including this cornbread mix that’s not too sweet and not too salty. It’s great as-is, and also a perfect addition to other recipes where you’d want to add your own flavors. This pack includes nine 6.5 ounce packages, so you can make a small pan of cornbread or six muffins with one mix, or bake a few batches for parties or for stuffing a turkey. One user noted that the small batch is the perfect size for cooking in a toaster oven. This requires milk, butter, and egg, so the ingredients aren’t hard to find. Because it bakes a thinner cornbread in an 8-inch square pan, the baking time is slightly shorter than other mixes that bake a thicker cornbread. Founded by a women’s bridge club in 1932 when the women came up with an easy pie crust concept, Krusteaz products always rate highly among users who love the baking mixes. This Southern-style cornbread mix is no exception. Described as “sweet and savory,” it’s a little bit dense and slightly gritty rather than fluffy. While it’s slightly sweet, it’s not overly sweet. This recipe requires milk or buttermilk, melted butter, and eggs, which are pantry staples in many homes, so you won’t need to run out for ingredients. You can use an 8- or 9-inch square pan, a round cake pan, a skillet, or a muffin pan, so you’ve got plenty of options for baking the cornbread. The company website offers recipes to customize the cornbread to make it even more interesting. If Southern cornbread isn’t your cup of (sweet iced) tea, they also make a Northern version as well as honey cornbread. Searching for the right pan for your cornbread mix? Check out our guide to the best silicone baking pans. Perfect packaging for folks who don’t always need the same size cornbread or the same number of muffins, this bulk bag has a chart for making a variety of serving sizes, or just use 2 parts of the cornbread mix to one part of water for your own custom size. Since this requires only water, it’s one of the simplest cornbread mixes you’ll find, but the company website has more recipes that can make the mix even more fun. Some users note that they substitute eggs, milk, buttermilk, melted butter, or other liquids for the water, to make their own versions, so this mix is very flexible when it comes to variations. Prepare your cornbread with our favorite mixing bowls available for purchase. This New Orleans brand sells regional offerings like red beans and rice, jambalaya, and dirty rice, so it’s no surprise that they’ve also got a NOLA-style cornbread to go with your gumbo, but it’s just as good with your chili or fried chicken. This mix includes cheddar cheese and jalapeno, so it offers a spicy kick along with the savory cheese flavor. It requires butter, milk, and eggs, so it’s simple to make, either as cornbread or 12 corn muffins. The company website offers a few additional recipes, including cornbread-topped chili pie. If you’ve been to a Chi-Chi’s restaurant, you know what these corn cakes are. If not familiar with the restaurant, you’re in for a treat. The recipe suggests baking this in a loaf pan and using an ice cream scoop to serve, but some users bake them in muffin tins or cake pans for a more traditional cornbread shape. This is a sweet cornbread that’s a perfect pairing with spicy foods, or it can be used as a dessert. Rather than using coarsely ground cornmeal that’s traditional in American cornbread, this includes masa, for a more Mexican flavor. The recipe requires melted butter, water, and a can of cream-style corn, so it’s not quite as simple as some recipes, but still easy to make from pantry ingredients. This is a pack of 12 pouches, so you’ll have plenty for parties or just to keep on hand for Taco Tuesdays. Looking to whip up another sweet dish? Check out our reviews of the best pancake mixes you can buy today.